You can upload files of up to 10 GB via the browser. To upload files exceeding 10 GB, use the Yandex.Disk program (versions for Windows, Mac OS or Linux are available), Disk 2.0 or the WebDAV client. The maximum file size on Yandex.Disk is 50 GB. You can also drag and drop any folder to the Disk page, or copy a folder from your computer to the Yandex.Disk program. The folder is automatically uploaded to the server with all the content. To upload files to a separate folder using a mobile app, create the folder first, and then open it. Go to the Disk page. Open the Yandex.Disk folder you want to add files to. Drag separate files or an entire folder to the page (you can also upload separate files by clicking the Upload button on the left panel or in the context menu). Note. To upload folders through the browser, you need Yandex.Browser version 1.7 or later, Google Chrome version 25.0 or later, or Opera version 17.0 or later. If you use a different browser, upload folders with the Yandex.Disk program. To upload more files, click Upload more. To hide the upload box, click Hide. You can also share a link to the file as soon as it has uploaded. To upload files from computer, install the Yandex.Disk program and copy the files to the folder created by the program. All files and folders placed in the Yandex.Disk folder will be automatically uploaded to Disk (synced). For more information about the Yandex.Disk program, see sections Yandex.Disk 3.0 for Windows, Yandex.Disk 3.0 for macOS or Console client for Linux. 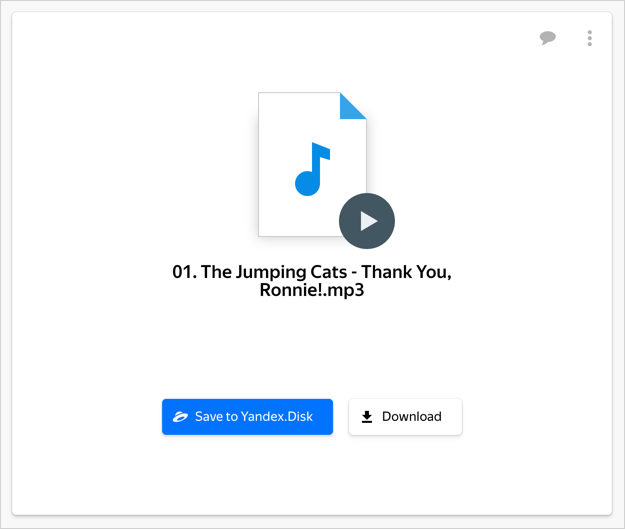 The Yandex.Disk mobile apps let you upload files from your phone as well as take photos and save them directly to Disk. 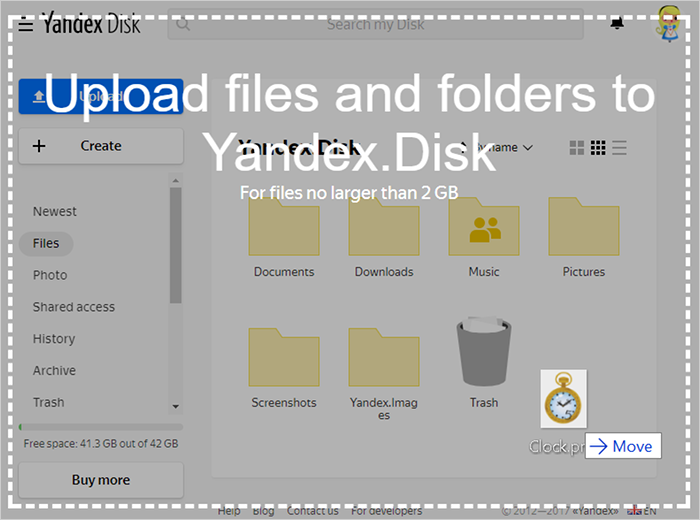 To upload files from your phone or tablet, install the Yandex.Disk mobile app. To upload files through the app, see the sections for iOS and Android. You can upload your photos to Yandex.Disk from VK, Facebook, Instagram, and Google+. Go to Photos from social networks in the panel on the right. (Optional) Log in and allow Yandex to access your social network account. Note. 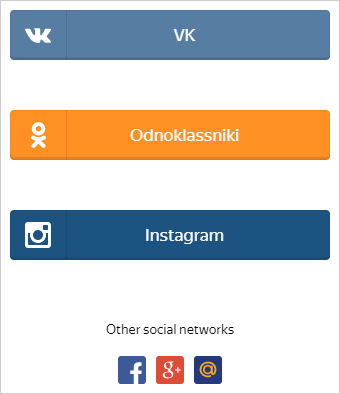 To connect your social network account to Yandex.Disk, Yandex needs to access your account. Yandex will not use your account information in any way that you did not grant permission to. Choose the albums and click the Next button. The photos will be loaded to the Social networks folder. All files up to 1 GB that you create, upload or store on Yandex.Disk are tested with the NOD32 antivirus program. If the antivirus system marks a file as suspicious, it most likely actually is infected. If you think the file is all right, you can report a false virus detection using the form on the page https://www.esetnod32.ru/support/knowledge_base/new_virus/. Note. Different antivirus programs may have different virus databases. This means that one antivirus may fail to find viruses in a file, but another antivirus may flag it. You can independently verify a file using Virus Total, where files are checked using dozens of antivirus products. If you receive an error message while uploading a file, please make sure that the file is smaller than 10 GB, which is the maximum size for the web interface. You will need to use the Yandex.Disk program, Disk. 2.0 or connect via WebDAV to upload larger files. If the file is smaller than 10 GB, the issue may be caused by a proxy server or a second firewall (in addition to the default OS firewall). Try temporarily disabling your firewalls and upload the files again. You might also try disabling your antivirus software to rule out any possibility that it is interfering with the app. If that doesn't work, see if using a different browser solves your problem. You can download another browser from browsers.yandex.com. The most common cause of slow download speeds is using proxy servers and extra firewalls (in addition to the standard Windows firewall). We recommend temporarily disabling them when downloading files. If you run out of space on Yandex.Disk, you can't upload new files, share files or create shared folders. Also, you can't use public links to download files you shared earlier. But you can save them to Disk. Other actions with files are not blocked. You can still view files, download them to your computer, edit, move, or delete. Get more storage to take full advantage of Yandex.Disk.